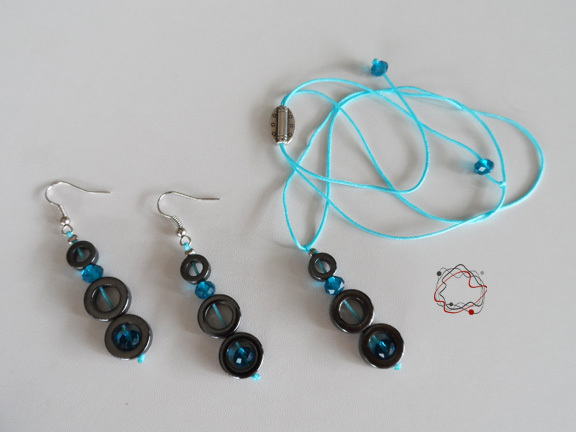 Hematite Necklace & Earrings Set With Blue Crystals & Cord. 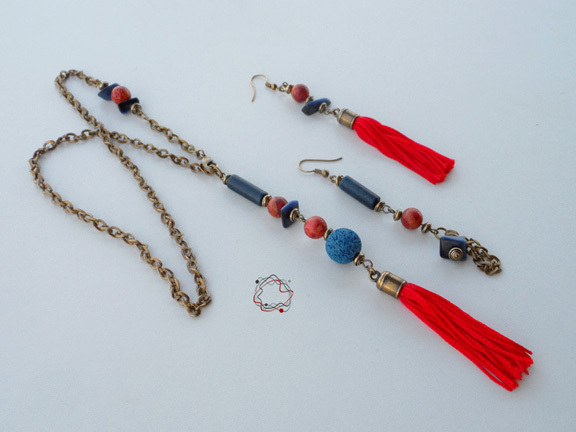 Set of earrings and necklase with hematite, blue crystals & cord. 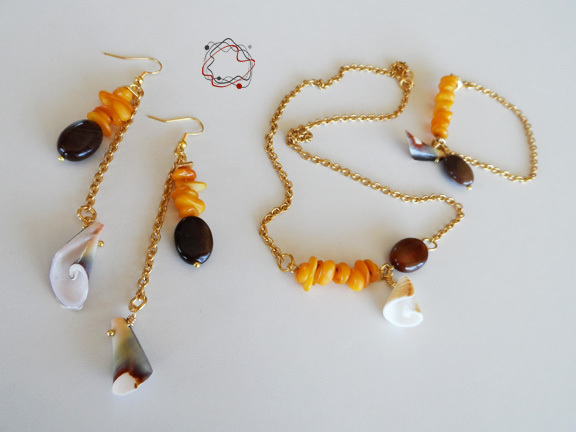 Necklace with corals, lava, ceramic beads & red handmade tassels.